Robert D. Reed Publishers (Bandon, Oregon, 2016). 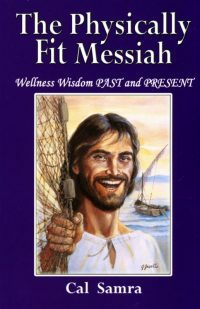 Good health care is not defined solely by the medical assistance we receive during times of illness or after an accident, Cal Samra insists in “The Physically Fit Messiah.” Life patterns that foster good health ought to become personal goals of ours long before a virus attacks or a bone is broken. He recalls an episode of “60 Minutes,” CBS-TV’s weekly newsmagazine show, on the “remarkable longevity” of the Orthodox monks of Mount Athos in northern Greece. Do their long lives reflect the monks’ habit of eating simply, consuming fish, fresh vegetables, fruits and grains they grow themselves? It is unsurprising that Samra views humor and joy as basic factors of a balanced lifestyle that supports health. He is the long-time editor of a publication called The Joyful Noiseletter that encourages pastors, churches, seminaries and others to make humor a constant in their lives. I assume that the exercise, good nutrition, sense of humor, prayer and habits of life recommended by Samra would benefit almost anyone. The book conveys this message effectively. In what ways, though, is this well-balanced approach to life limited — for example, in cases of mental illness? Samra’s chapter critiquing various mental health professionals and medications they prescribe came across to me as rather harsh and in need of fine-tuning.